RSVP: Please do let us know if you are coming so we can plan accordingly. E-mail us at SWET Events. 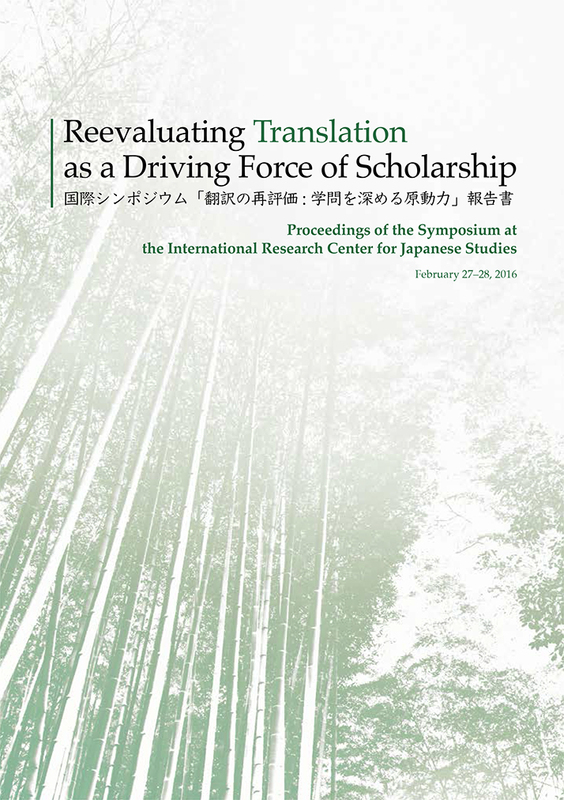 Scholars, publishing initiators, and professional translators and editors gathered in 2016 for a symposium to discuss the aspirations and difficulties, the arts, crafts, and the nitty-gritty of translation practice, particularly for scholarly works in the humanities. 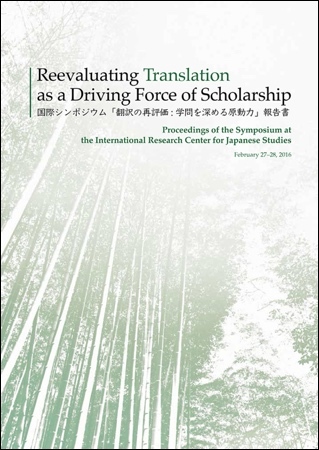 Now Reevaluating Translation as a Driving Force of Scholarship: Proceedings of the Symposium (国際シンポジウム「翻訳の再評価: 学問を深める原動力」報告書; 280 pp. ), has been published by the International Research Center for Japanese Studies (Nichibunken) in Kyoto. The book records the discussion among 21 scholars, managing editors of translation publishing programs, and professional wordsmiths (many of them SWET members), as well as audience members gathered together at Nichibunken three years ago. The content includes accounts of specific experiences in translation and publication of scholarly works, translation of primary sources, discussion of the problems with distribution, checking, and editing. Not only scholarly translation projects but many other non-fiction publishing projects can benefit from the candid sharing of professional practice and scholarly perspective recorded in this volume. To be available online as well as in printed form by mid February. This publication, which is Nichibunken’s International Symposium No. 52, can now be downloaded from the Nichibunken repository website. Click on <全文>国際シンポジウム : 52 . Parts of the book are in English and parts in Japanese, but except for the foreword and symmary, they are not provided in both languages.